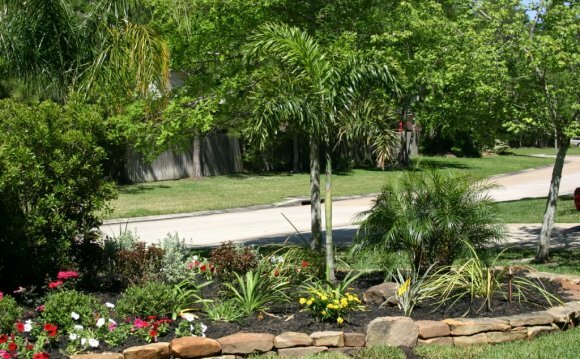 Oss Landscaping is a full-service landscaping company, specializing in landscape design, masonry, concrete work, outdoor structures, drainage, hydro jetting, irrigation, plant installation, lighting and maintenance programs. With over 20 years experience, Gary Moss leads a team of over 150 landscaping professionals, foremen and support staff. He blends the talents of a variety of landscape architects and related professional consultants team members, helping customers determine the size and scope of their projects. Gary Moss' emphasis on the personal touch is evident in the history of his company. He grew up in the Memorial area and got his first taste of the landscaping business as a part-time job weekend job while he was a student at Robert E. Lee High School. As a sophomore at the University of Texas at Austin, Moss established his landscape business part time and after graduating he opened a commercial and residential landscaping company in Austin. As his company soon grew to 100 employees, he added a Houston office. ary Moss' emphasis on the personal touch is evident in the history of his company. He grew up in the Memorial area and got his first taste of the landscaping business as a part-time job weekend job while he was a student at Robert E. Lee High School. As a sophomore at the University of Texas at Austin, Moss established his landscape business part time and after graduating he opened a commercial and residential landscaping company in Austin. As his company soon grew to 100 employees, he added a Houston office. In 1995, Moss sold the Austin office so he could focus his attention on his Houston clients who, by the beginning of 1996, numbered more than 700, today it is almost 3000 clients. Moss’ reputation grew statewide as he promoted high moral and ethical business practices in his trade. He has been active in a number of landscaping professionals’ groups around the state and has served as State Treasurer of the Texas Association of Landscape Contractors, now known as Texas Nursery and Landscape Association and previously as president of its Austin chapter. Focusing on Houston also meant he could renew old friendships and become a community leader in his home city. He married Louise Andrews Moss, a licensed psychotherapist, whose love and support has enabled Moss to put in his typical 70 to 80 hour workweeks, while still enjoying time with his family. Active members of the Greek Orthodox Church, the Mosses have a two daughters, Christina and Carolina and a son, Nicholas. Moss believes strongly in serving his community on a pro bono basis. He devotes numerous hours to various non-profit organizations including his church, Memorial Park Conservancy and Discovery Green. He spearheaded the recent landscaping of Houston’s new Star of Hope mission, a privately-funded temporary residence for homeless families. Moss has also assisted with the landscaping of the Arbor School and the new Houston Area Women's Center Shelter.